Click here to be redirected to our website. "Who reads all this CR*P anyway?" If you have something to share, you can email Renee at reneeb@bryanventures.com, or post it right on our Facebook page. Please be advised: Any references you choose to make to this blog are open game for future posts. (Who am I kidding? ANYTHING is game for future posts.) Thank you! Renee E. Bryan also publishes writing at her blog: WrongWayLizzie.Me. 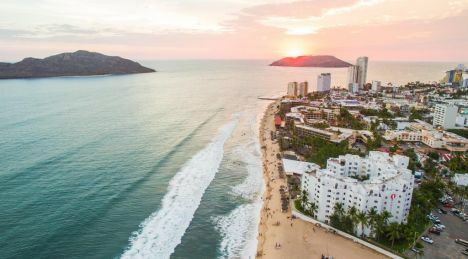 This blog highlights our live insurance CE in Mazatlán. Review the possible purchase options here. It's a go! The contracts are signed. The dates are set. We even have 40% of the rooms and tickets we'd reserved sold. Oh yes, we'll be teaching insurance CE classes that are approved for Minnesota, Wisconsin, and Iowa agents in Mexico this February. Think of it, you can be near a tropical beach for an entire week, but because you'll spend four mornings getting your insurance CE, you'll only need three days vacation from the office. WOO HOO! We were able to negotiate discounts on the travel options, but we only reserved 10 rooms and four of them are already sold. We maybe able to get more, but we cannot guarantee the future pricing. There is NO requirement that you must be an insurance agent to join us. You can share this opportunity with family and friends as well, but if you are interested in this opportunity, you should ACT NOW. Below you'll find a few bullet points to address the common questions. Additional information is available on our DESTINATION CE page. Our travel dates are SATURDAY, FEBRUARY 9 to SATURDAY, FEBRUARY 16, 2019. 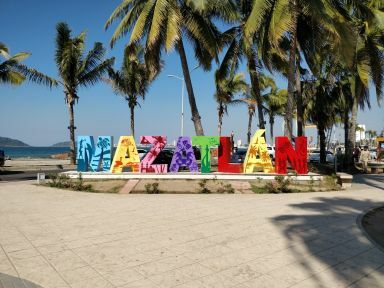 Destination Mazatlan, Mexico, all-inclusive stay at PLAYA MAZATLAN BEACH RESORT. We are offering packages with air, transport, and resort accommodations, or LAND ONLY with resort accommodations. These vacation packages are available for single or double travelers. Standard rooms are Garden view. Upgrades to Ocean view for an additional fee. Flights are out of Minneapolis/St. Paul. We will instruct four insurance CE courses, 4-hours each on the weekday mornings including required classes like ethics, annuities, and LTC Partnership. Courses are approved for resident agents in Minnesota, Wisconsin, and Iowa. To give our agents, the ones that have used our classes before or expressed interest, a chance to register, we have held off on open advertising of these travel packages and destination insurance CE classes; however, since this offering is unique in the industry, we will be making these packages available to all insurance agents in our tri-state approval area and are planning some intense marketing. If you want to join us, we highly recommend you purchase your package now. We cannot guarantee pricing and/or availability beyond the 10 rooms that were part of our existing contract. Review the options here and if you have any questions, certainly email us. I am so super excited, I may start packing now. LOL! Email Renee; or post on our Facebook page. Comments are based on the personal experiences or opinions of Renee and may not reflect the objective of Bryan Ventures, Inc.